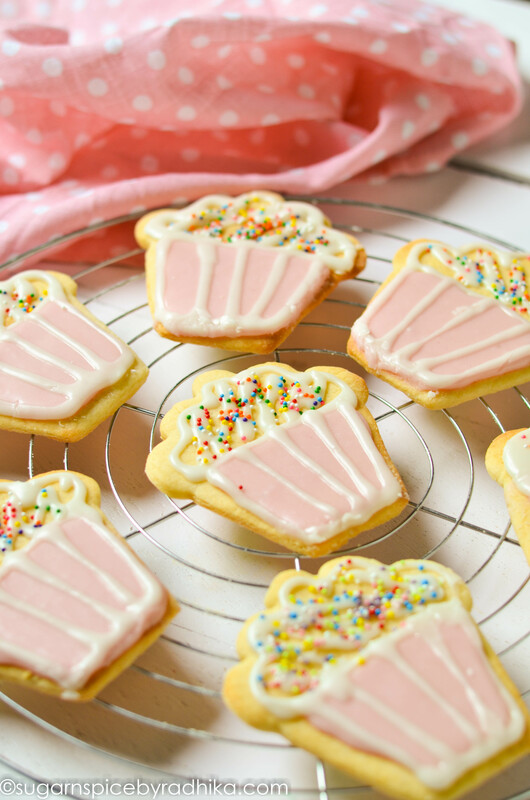 These adorable cupcake shaped cookies are just what you need when you’re having a hard time deciding between a cupcake and a cookie! 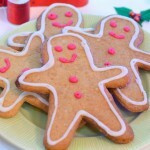 These eggless sugar cookies glazed with the simplest icing are perfect for special occasions and are so easy to make. 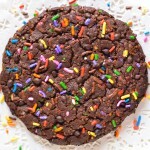 Who says you have to choose between a cupcake and a cookie? 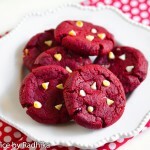 Now you can have both with my cupcake cookies made using WhisQ’s cupcake cookie cutter! Ever since WhisQ launched I had been eyeing this cookie cutter and when they finally sent it to me to try I couldn’t wait to try it out! These adorable cupcake shaped cookies are just what you need when you’re having a hard time deciding between a cupcake and a cookie! 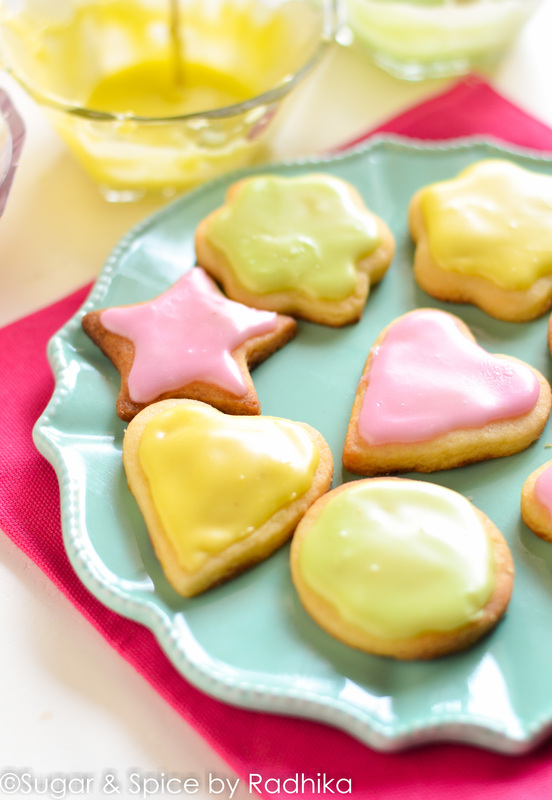 These eggless sugar cookies glazed with the simplest icing are perfect for special occasions and are so easy to make. 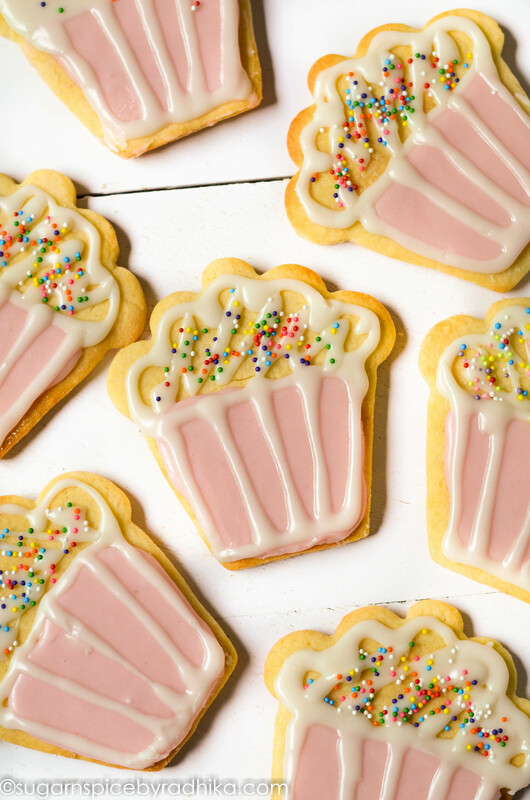 These cupcake shaped cookies are perfect for baby showers, birthday giveaways or just for you savour. I love how sky is the limit when it comes to decorating them. You can really show off your decorating skills and go bananas. I chose a simple glaze and used sprinkles to decorate at the end. They’re really easy to make but look fabulous. You can buy this cookie cutter from all Foodhall stores across India or head to WhisQ’s official Facebook page to know more about their products. 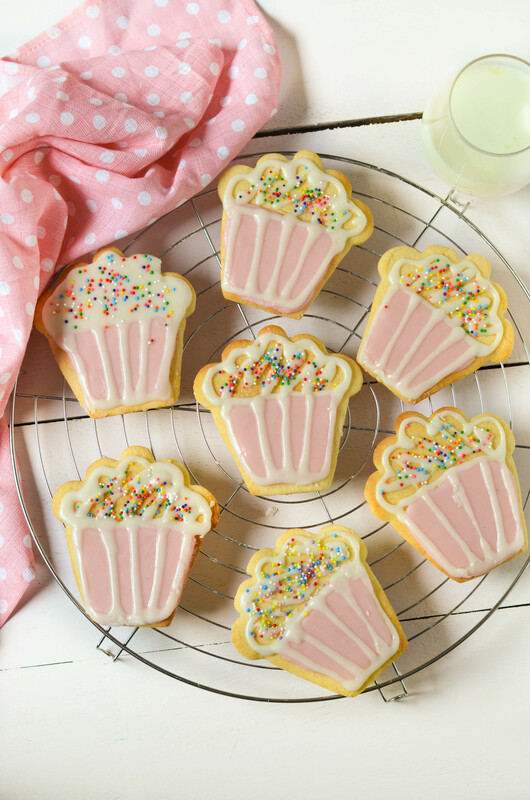 These adorable cupcake shaped cookies are just what you need when you're having a hard time deciding between a cupcake and a cookie! 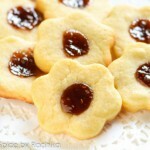 These eggless sugar cookies glazed with the simplest icing are perfect for special occasions and are so easy to make. 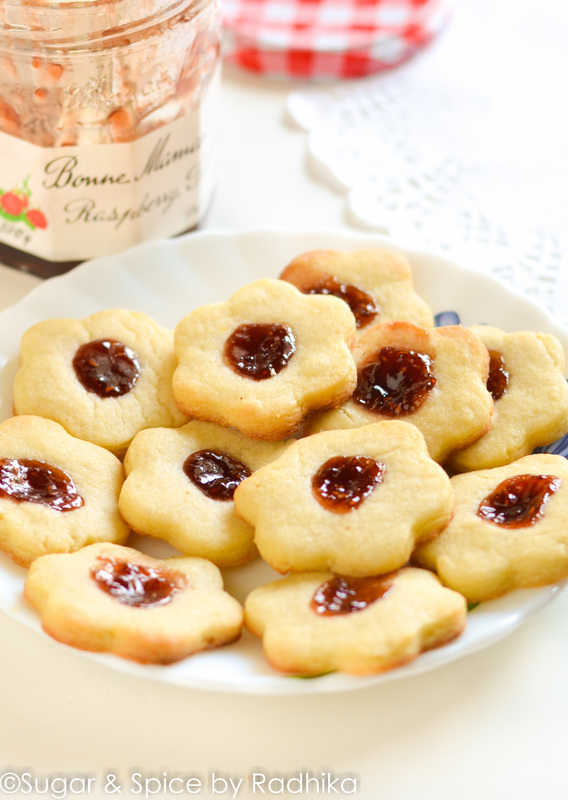 For the cookies, Mix flour, baking powder, and caster sugar in a bowl, and set aside to be used later. In another bowl, whisk butter for 3-4 minutes with an electric whisk or until it's pale in color and fluffier. Add in the yogurt and vanilla extract, and mix well. 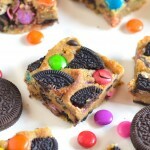 Start adding the dry ingredients to this, and whisk using an electric mixer. This will make it a lot easier to incorporate the dry and wet ingredients. Once mixed, you will achieve a dough-ey consistency. Wrap this cookie dough in a cling film and refrigerate for at least 1 hour. I refrigerated mine overnight. You could do this too if you don't need the cookies immediately. Once you're ready to bake take out the dough from the refrigerator and let it sit for a couple of minutes. Next, flour a clean surface and start rolling the dough until its about ¼th of an inch thick. 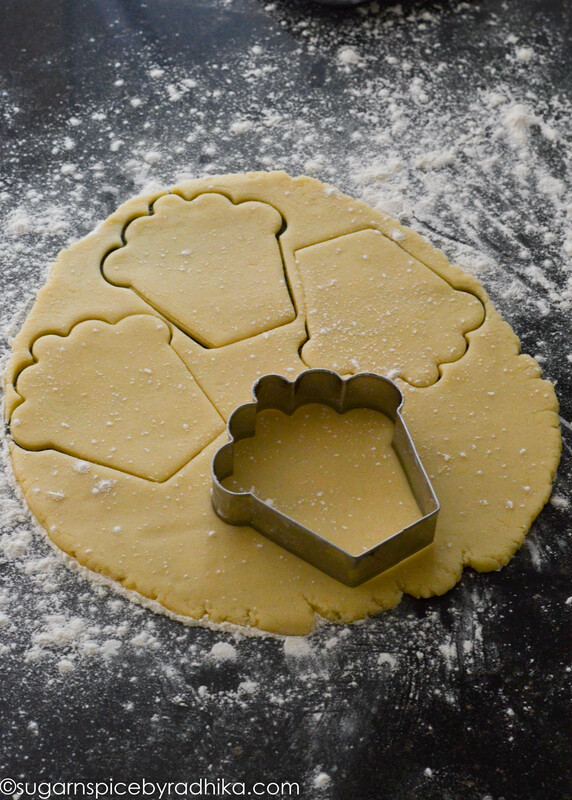 Cut out shapes using WhisQ's Cupcake Cookie Cutter and bake in a preheated oven for about 10-12 minutes at 160 degrees Celsius. 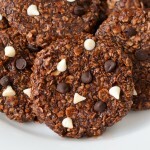 The cookies should be slightly golden on the sides and a little puffed up. Don't let them brown. Once baked, transfer them very carefully to a cooling rack. 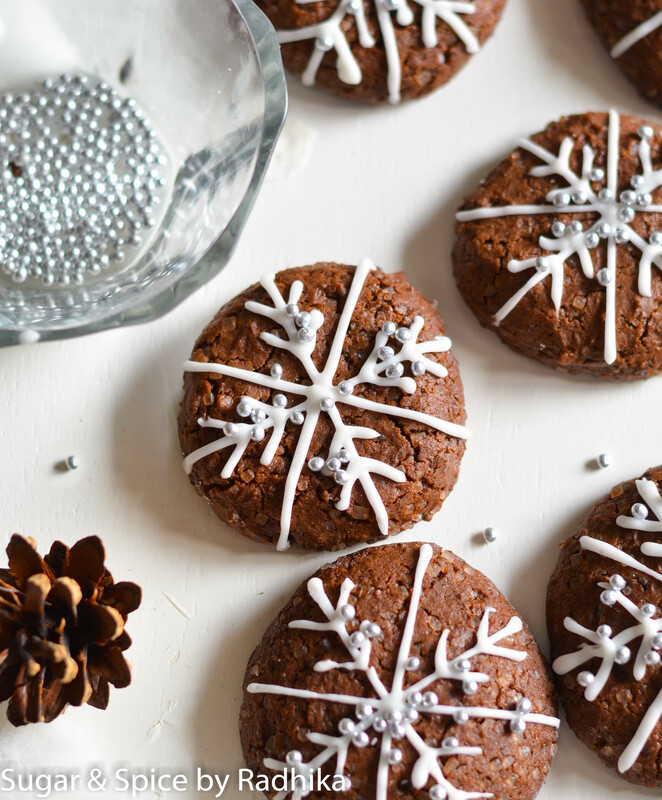 Let the cookies cool for about an hour before you start glazing them. 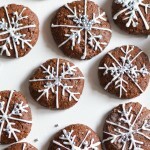 For the glaze, mix icing sugar, vanilla extract and milk in a bowl using a whisk until a thick consistency is achieved. If it’s runny, add more icing sugar. The mixture shouldn’t be runny at all otherwise it won’t dry well. Divide it into 2 parts, leave one part as it is, and add 4-5 drops of red gel food color to the other part to achieve a light pink color (or darker if you prefer). Pipe the glaze onto your "cupcakes" and top with sprinkles. Let them dry for atleast 2-3 hours. Enjoy! 1. I use salted butter for all my recipes. If you use unsalted butter here, make sure that you add a pinch of salt to the dry ingredients before mixing them in. Hello!! Hw d dough shud b in consistency?? Nd wot to add wid d above ingredients if its nt enuf to bind?? Hi Shweta! It shouldn’t be sticky at all and a little bit crumbly. The recipe has been tested a lot of times so you can be sure that it will be perfect. Just use the correct measuring equipments to measure everything out and you’ll be fine.